I feel like I completely slacked on my homemaker responsibilities while fretting over jury duty the last two weeks. Now that I'm released from it and it's the start of the new week, I'm obsessing over getting my schedule back. Of course, that didn't stop me from enjoying the weekend first! One of my main tasks to start out the week is organizing our meals. I'm trying to both empty out the freezer as well as fill it back up with staples. As such, our dinner meats are kinda dull, but I've tried to compensate with some new side dishes. Here's what I've got planned. Let me say that many of these recipes feed way more than the two of us, so I will be halving them in most cases (I do this OFTEN). Now, here's the broccoli recipe. Unfortunately, this is just one I have saved with no link back so my source is unknown. I apologize for that. Bring a large pot of water to a boil and get a large bowl of ice water ready. Once water is boiling, dump in the broccoli and blanch for 2 minutes. Drain the broccoli and transfer to the ice water. When cool, dry the broccoli in a towel. Pour the oil into a large pan over medium heat. Add the garlic slivers and saute until golden brown. Remove the garlic with a slotted spoon and drain on a paper towel. Toss the onions into the pan and cook for 5 minutes, or until softened. Add the broccoli and cook until hot, about 2-3 minutes. Turn off the heat, pour in the oyster sauce, and sprinkle the garlic slivers atop. Season with salt and serve. 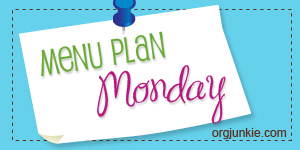 Check out more Menu Plan Monday at I'm an Organizing Junkie. 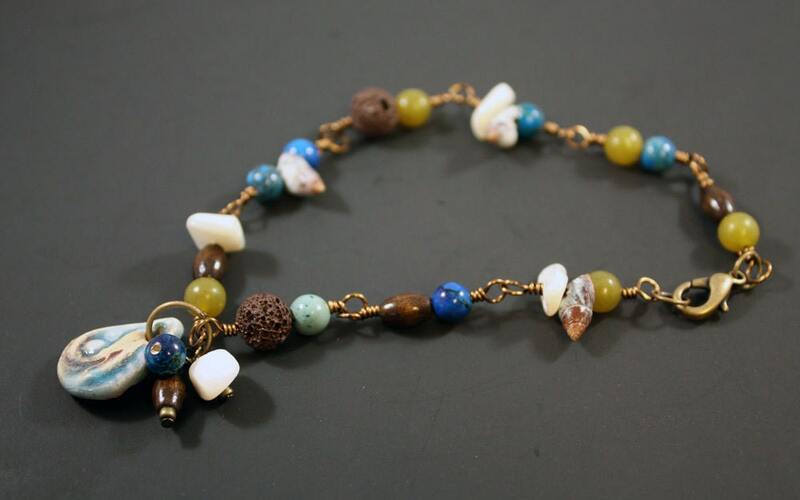 Lastly, here's a new bracelet in the shop for those Beachy Girls like me out there! I'm off to tackle this messy house and unfinished projects. How's your Monday shaping up? I printed out that mac-n-cheese recipe because it sound delicious! Thanks for sharing the link. I love your beachy necklace! That looks like a nice place to have a swim. The broccoli recipe sounds really good. Love the bracelet the little birds on it are so cute. I watch a video the other week that someone posted on facebook if you want to sell something put a bird on it, I LMAO when I watched it. Now when I see pieces with birds I say to myself if you want to sell it put a bird on it! Thanks for sharing this yummy broccoli recipe. I've been looking for another way to prep it besides the boring old steamed method. And garlic makes everything taste better, right? I read that you use an Excel program to keep your recipes organized. I don't think I have Excel on my computer but I have Microsoft Word. Is there a way I could use it instead? I'm just not clear how you organize them? Do you put them in files under a major heading such as DINNER?